Before diving into yet another ultra-exciting CRM article, we just wanted to remind you that the 2013 XMAS Promothon will be released next week, so if you have got your promo ready – SHARE IT BY THIS WEEKEND! Now, where were we? 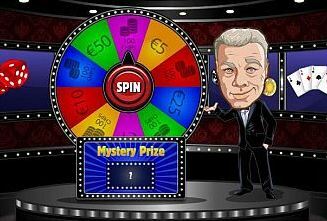 Oh yes, ultra-exciting and s**t.
BetVictor have just added a new feature to their poker room: every 25 raked hands are rewarded with a spin on the newly built “Victor’s Wheel” for a chance to win a cash prize of €1, €5, €10, €25 or €50 (uncapped). While every spin has a guaranteed win, players may end up winning (instead of cash), one hundred extra starting chips for the Victor’s Wheel $10,000 2nd Chance Tournament – that’s a regular poker tournament, with balances that are based on your previous results in this 8-weeks promotion. So what do we really have here: A new concept in Online Poker Loyalty? Will it grow and become permanent feature, or is it to remain as a one-off promotional campaign? And most important – how profitable is it for the operator and would can it do to players’ LTV and engagement levels? We know you have an opinion, so speak up! And speaking of Christmas, here is how proper companies who care about their customers reward loyalty. Not saying that you don’t, but let’s be honest – you don’t. This entry was posted in Home and tagged BetVictor, Christmas, Christmas Promothon, online poker, online poker conversion, online poker retention, online poker VIP, poker, poker promotions, promothon, xmas, XMAS Promothon. Bookmark the permalink.